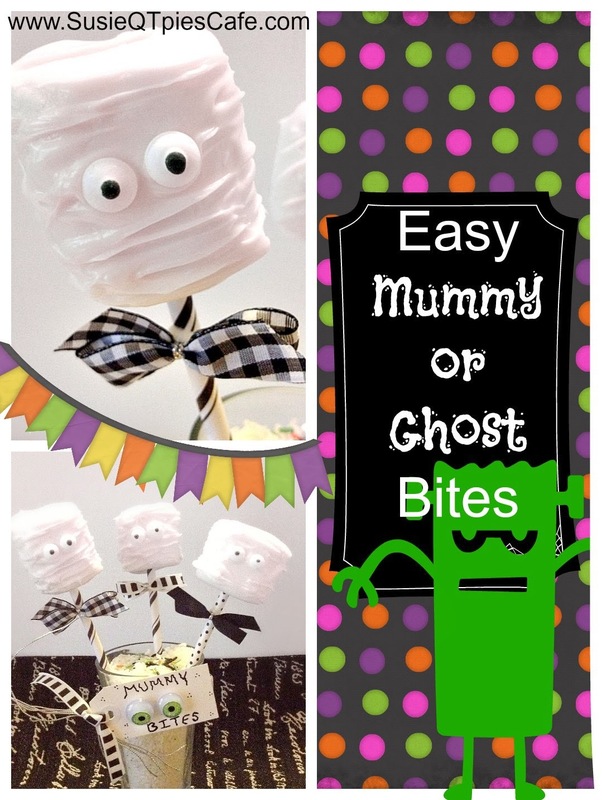 Here is a super easy food craft you could do this week with the kids. This easy halloween recipe could be done at class parties, too. I love getting the kids in the kitchen and involved in creating their own food. My teens work less and less with me in the kitchen because they are all so busy. Some of my most favorite times with my girls are when they were with me in the kitchen. 1- Melt chocolate in the microwave or in a chocolate melting pot. 2-Add sticks or straws to each marshmallow. 3-Dip marshmallow into melted candy. 4-Use a spoon or a knife to make marks into the candy for texture. 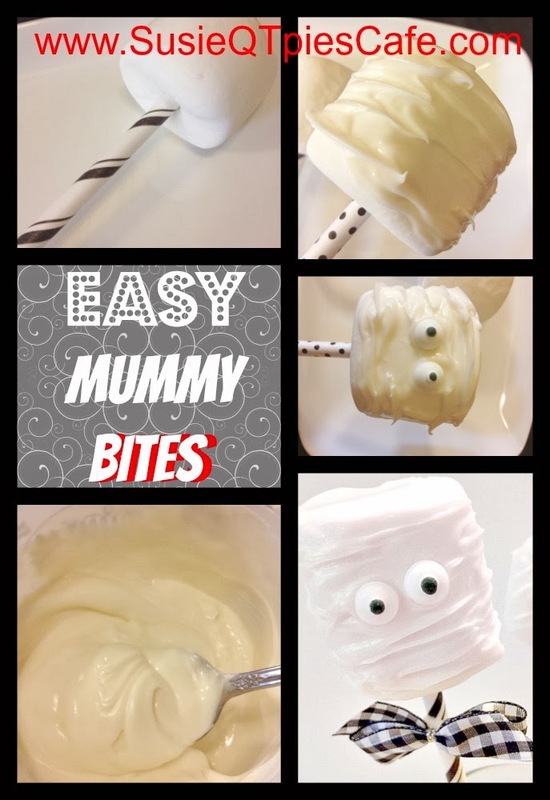 We added little bows to our mummy bites. 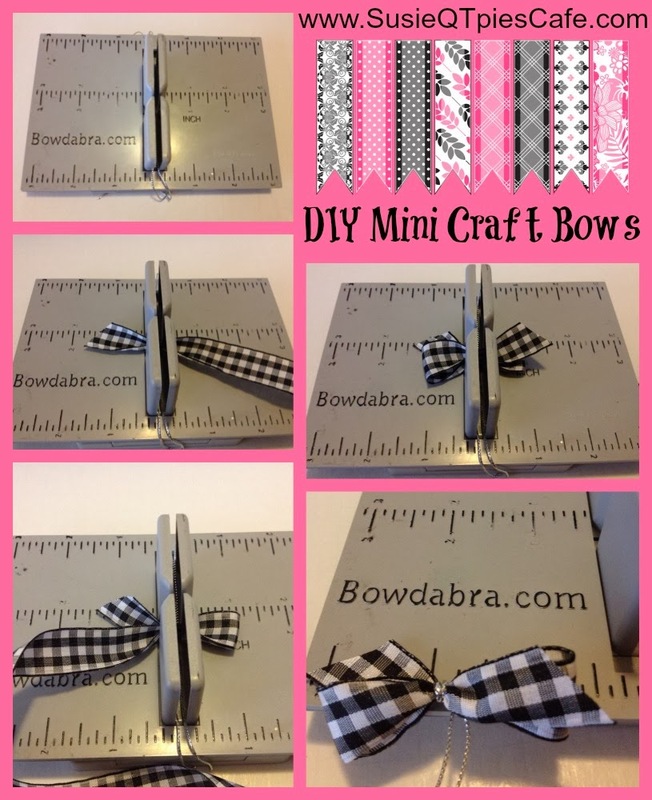 We make our perfect bows using the Mini Bowdabra. 1-Add the ruler tool on top of the Mini Bowdabra. 2-Cut 18" of Bowdabra Bow Wire, fold in half and place it into the Mini Bowdabra. 3- Add 1 1/2 inches of ribbon into the left side of the Bowdabra. 4-Make a 1 inch loop and fold over to the left side. 5-Make one more loop, fold over and trim the ribbon tail to 1 1/2 inches to match the other side. 6-Scrunch down with the Bowdabra Wand. While the bow is in the Bowdabra, thread the two loose ends of the wire through the loop and pull the wire tightly. 7-Remove from Mini Bowdabra, flip over and tie into a knot and trim off wire. 8-Hot glue to the sticks. You could leave on the wire and tie it to the stick.